The new home construction business is booming recently! We sold 9 new constructions throughout Cincinnati in 2018, from Liberty Township to the West Side. And this year is still going strong - we are currently helping several families who are looking at building in 2019. 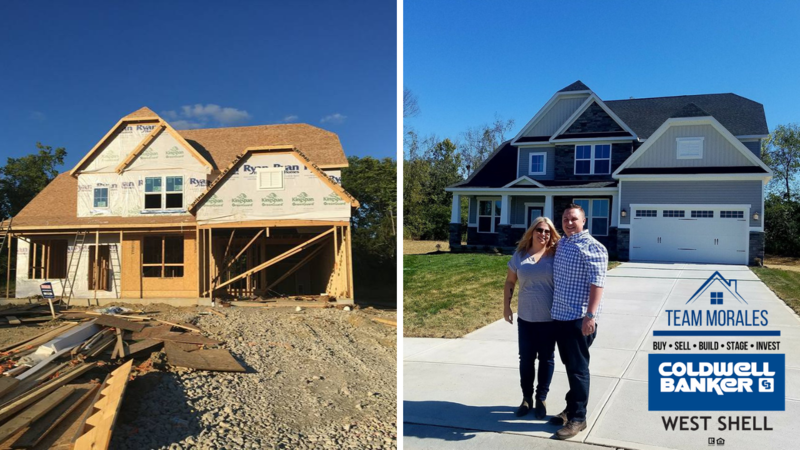 Our team has learned so much over the years about building vs. buying existing homes, especially now that Lisa has her New Construction Certification. We wanted to share some of that with folks who might be considering a build! Lots of people think that because they're building and the builders have agents, that they don't need their own. WRONG! The builder's reps work for the builder at the end of the day. They’re awesome people, don’t get me wrong, but if you want someone in your corner who is thinking and fighting for your best interests, bring them with you! We have personally attended planning appointments and helped clients save lots of money by negotiating with the builder and helping them choose their upgrades wisely. It’s so easy to walk into a model home and get stars in your eyes - they’re absolutely gorgeous! Rest assured, the builders spared no expense making them look magazine-ready. If you were attending an appointment with Lisa, she’d walk you around the model pointing out the long list of upgrades that you’re seeing to help you understand where you’re starting with your “base”. Our job as realtors is to keep our clients grounded and realistic as they attempt to balance their future plans, wants, and needs with their pocketbook. Is this a home that you see yourself “aging in place”? You may need to build with certain accommodations in mind. Do you expect to need to re-sell it within the next 15 years? You may need to build with re-sale value at the top of your mind. Will your family grow while you’re there? You may need to build bigger so you have room to spread out. These are all things a realtor can help you anticipate and plan for in the building process. Most people who are building want their home to be absolutely perfect and to their dream specifications from the moment they move in. That’s perfectly fine, but you do pay for it. When you’re working within a budget, sometimes you must ask, what’s worth paying the builder to do, and what can you do more cost effectively on your own after building? Again, the model homes will have your eyes twinkling with upgrades, but sometimes those aren’t the most economical choices. Many people who build opt to upgrade or adjust structural items that are harder to change later, rather than cosmetics. This includes items like bumping out a room to add square footage, adding an egress window in the basement, or adding a plumbing rough-in in the basement. Cosmetic upgrades on the other hand, such as a ceiling fan, backsplash, or fixtures, can be DIY’d or hired out later at a lesser cost. Again, a realtor can help you make these choices wisely! Some people know exactly where they want to live when they begin the buying/building process, down to the exact street! But many others don’t even know where to begin, especially if they’re relocating to the area. Active realtors should know all about the different subdivisions and neighborhoods in the areas they work. They should know the different amenities, HOA fees, which builders build where, possible new construction or infrastructure changes nearby, etc. They can advise you on what might suit your needs based on your lifestyle and hobbies. Then once you settle on an area, your realtor can help you choose the lot that’s best for you. For example many families with children like to choose lots on cul-de-sacs, while others want privacy, and some choose based on numerology or the direction it faces - everyone has different preferences. But our job as realtors is to help you understand what an extremely important step in the building process this is. Because while you can change most things about your house after it’s built, you absolutely cannot change WHERE it is built. We hate lay this one on people, but it’s the truth! We live in a world where we all love instant gratification, and building takes time and patience. Every appointment at the builder’s office will take awhile, it’ll feel like there’s nothing happening for awhile, it’ll feel like progress is slow for awhile, but it will all be worth it in the end! And you don’t need to worry much when you know you have a realtor who will represent you if anything doesn’t quite go according to plan. Many homebuyers think they only need inspections when they’re buying an existing or older home, but no home is perfect. We recommend our clients who are building hire an inspector to come throughout the process, especially pre-drywall stage, to make sure that everything is being done to their specifications and up to current codes. Even if you do not opt for independent inspections, you will still have the opportunity to do a walkthrough with your realtor at the end to make sure you think everything is perfect. We often have conversations with client who don’t know how to begin the process of financing a new construction. There are lots of options out there, and some may even allow you to begin building before you sell if you qualify. Builders often have their own financing branch and offer incentives to use them, but there’s no obligation to do so. You can also check the rates and availability at your community bank or credit union. What’s important is that you do your research, weigh your different options, and decide which is the most beneficial for you and your family’s needs. Builders have a bottom line that they need to make whenever they build a house. So you can’t go into a new build expecting to save thousands off the base price or anything like that, even with a realtor. But what you can do is negotiate how that money is spent and what types of incentives you can get from the builder as you choose your specifications. This is one of the places that having your own realtor, especially one who’s a great negotiator, comes in really handy. One of the best parts for any homebuyer, including those building, is that they don't have to pay their agent! 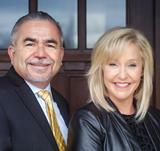 The sellers (in this case, the builders) pay the realtor’s commission. They’ve already built that into their budget for selling these homes, and you can use any realtor you choose, so there’s really no reason not to. And if you use our team, you know you’re getting expert, 5 star real estate advice, along with the confidence and support that the internationally recognized Coldwell Banker name has to offer... It’s a no brainer!